You’ve had a great opportunity presented to you, and assumed you could handle the entire transaction on your own. You and your counterpart exchanged notes you wrote on a napkin at lunch and some text messages later during the week. You typed up a quick contract based upon a free template you found online, and your counterpart was ready to commence services right away. While frowned upon, this is actually common in today’s era of technology. You both executed the contract, but then early on, something goes wrong, and your counterpart refuses to pay. Whose responsibility is it? What do you do? No one expects to end up at this juncture, yet, so many contract deals wind up arriving at this final destination. Beyond the standard boilerplate language necessary to avoid lengthy judicial procedures, e.g. applicable laws, jurisdiction, and venue, substantive provisions must be included to ensure avoidance of some common pitfalls in a breach of contract scenario. For example, some contracts fail to state the grounds for default or provide indemnification provisions in the event of any future legal claims. While the average consumer may consider what is mainly required of a contracting party, they may nevertheless fail to specify the grounds for termination: terms that allow a part to discontinue the contract. Consider what conduct are grounds for termination or a material breach. We represented a corporate client during litigation of a breach of contract claim. The defendants argued our clients initially breached the contract, while our clients argued that the defendants’ funding deficiency caused them to breach. Unfortunately, the contract, which our office did not draft, never identified the grounds for a breach, clarified a material breach, or instructed who was to perform first, let alone the nature of the relationship in the event one of the conditions was waived. With so many open-ended questions, the resulting litigation was substantial. Clarify each party’s responsibilities. So often, key details are overlooked: who’s financially responsible while the goods are in transit up until the time the transaction is complete; who’s responsible for utilities; how do the parties receive official notices and other important communications; is insurance required; who’s responsible for any negligent conduct, and so forth? We represented a local mega church, which often hosted programs for various organizations benefiting the local community. One local organization wanted to host a program to assist ex-convicts in the rehabilitative process. We very much supported the effort and counseled the church about the risks for which an appropriate indemnification would limit the church’s exposure to liability. It’s important to clarify any allotted waivers. While a party may be in breach of a contract, you can give up your legal rights to sue for any breach, or rescind the contract due to any breach, in the event a waiver is given, implicitly or explicitly. 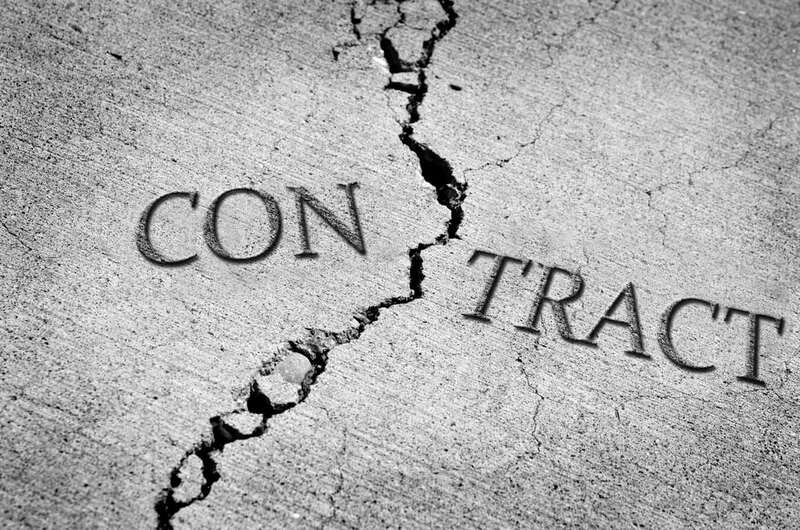 There are just some of the common pitfalls in contracts that we see daily. My law professor once told me, “A good litigator knows how to draft a contract, but a great transaction attorney knows how to avoid litigation.” These initial conversations will help prevent many disputes that ultimately end up in litigation. While breaches of contract are never fun, they can be adequately provided for in an appropriately drafted contract. Engaging the right legal team to assist you in your legal transactions can be the difference between walking away from a deal with everything you wanted or walking away with nothing. Contact us today for a free consultation. This entry was posted	on Wednesday, July 25th, 2018 at 3:58 pm	and is filed under Partners Blog. You can follow any responses to this entry through the RSS 2.0 feed. Both comments and pings are currently closed.